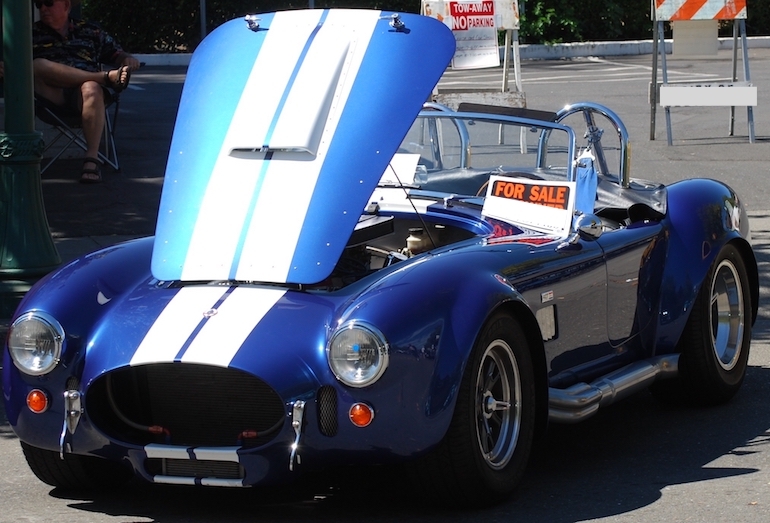 Shelby AC Cobra continuation model available for private sale in California. 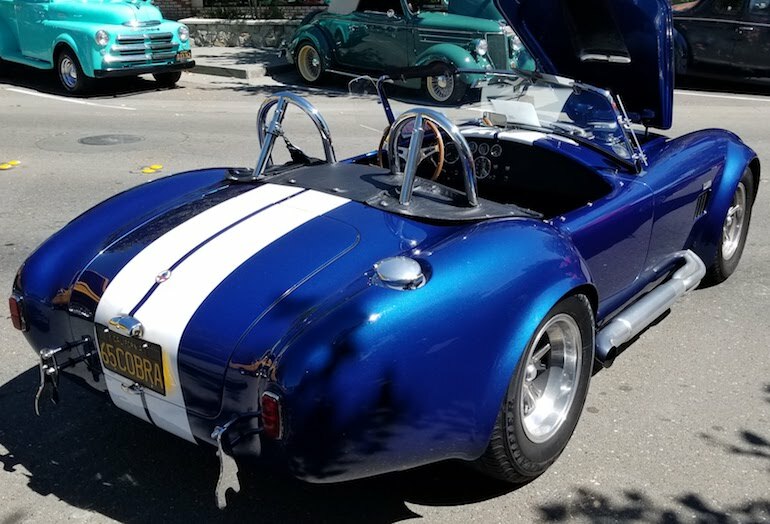 There is no other roadster in the world like an AC Cobra, especially the 427 cubic inch Ford V8 model in metallic Cobra blue with broad white rally stripes. Yes! It’s a head turner! If you want to own this immaculately presented and preserved Cobra 427, contact us today to arrange more information from the advertiser. Tel: 707 843 9965. 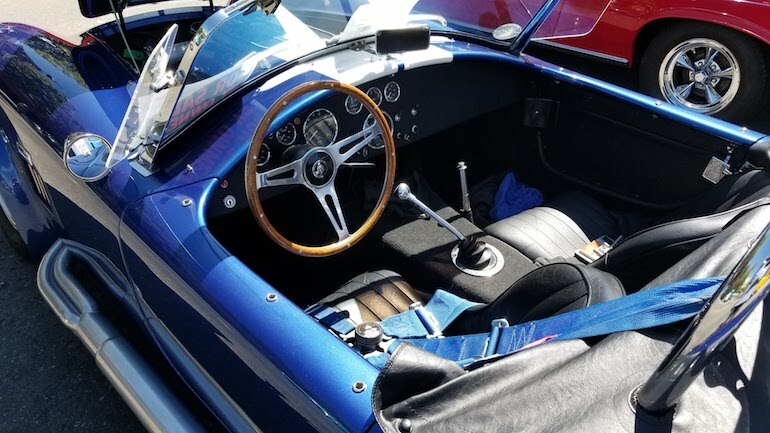 Close-up image of interior showing the quality of craftmanship and pristine condition of this 427 Cobra for sale right now. 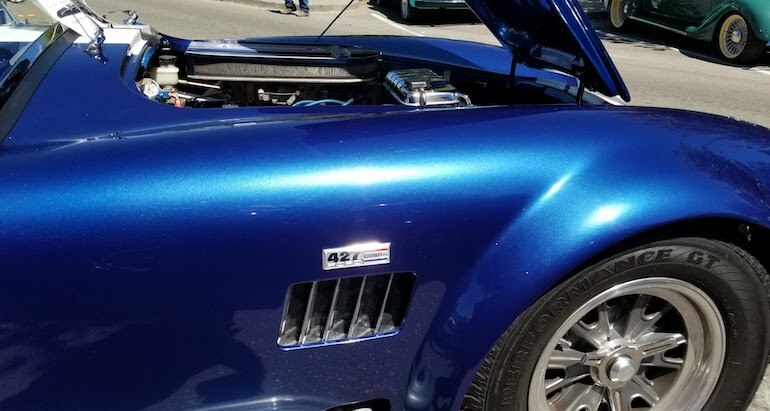 427 Cobra badgework, side vents and perfection in the blue metallic paint finish. 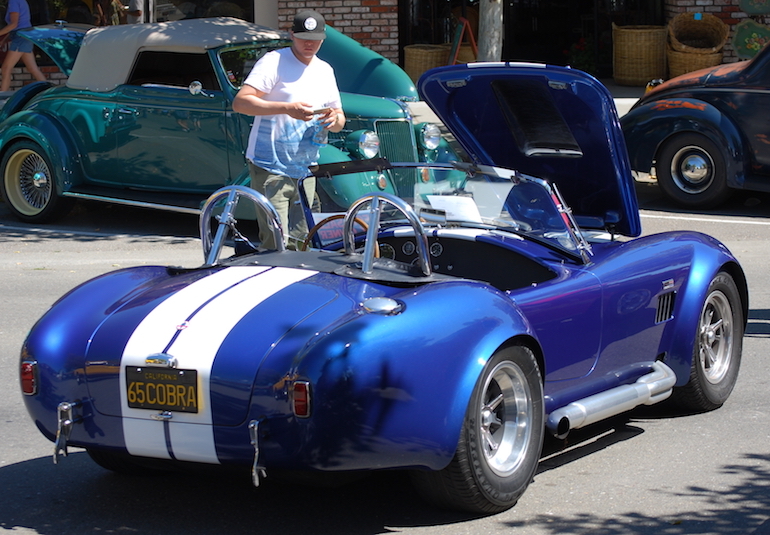 This Cobra has dual head protection roll bars and full harness seatbelts for added safety. 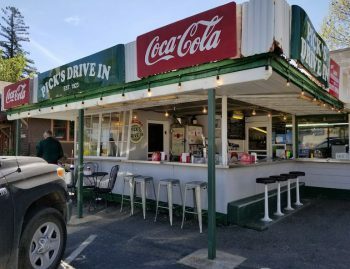 Call today for more information from the advertiser. This is a one in a million 427 Cobra. Tel: 707 843 9965 now!